ASAP was started in the year 2005 with 18 students. The present strength of the School is appx. 240. The first batch is out & already working as Architects in the profession. The School is recognized by Council of Architecture (CoA) running full time 5 years B.Arch course supported by well qualified and dedicated Core, Part-Time and Visiting faculty. There is also Master of Architecture (Landscape Arch. ), approved by CoA established at ASAP in the year 2009. Amity School of Architecture Planning ASAP, Noida offers various graduate courses as well as Post Graduate courses. 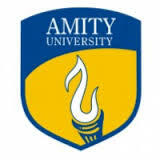 Amity School of Architecture Planning ASAP, Noida is affiliated to Amity University,Noida. List of facilities available at Amity School of Architecture Planning ASAP, Noida for students. This page was last modified on 6 July 2015 at 18:07.